Alex and I have been developing the plans for the blocks in preparation for building the prototypes in the next week. For this, I built the community edition of QCad (open source FTW!) and have been teaching myself how to draw with it. There was a bit of a learning curve to the interface and the modal model of the application tools, but I’m now relatively comfortable with the basics. Alex made several physical models of the blocks in styrofoam, which determined that 67mm is the most desirable size for the cubes. After casting a test, hollow cube of silicone, we decided that given the pliability of the material we’d need at least 15mm thick walls. Using these measurements I started sketching out the components as the might be assembled inside the form. Currently, we plan to have the blocks respond the their orientation as children hold them. The blocks will change colors and vary the color pulsing rate as they are tumbled. Shaking a block will cause it to “call out” to other nearby blocks using IR communication. We’re still determining the effective function of the talking, but we’re thinking of having the colors or pulse rate transfer to the listening blocks. Each block that receives a message will relay it in turn, hopefully contributing to a “bucket brigade” or domino effect. 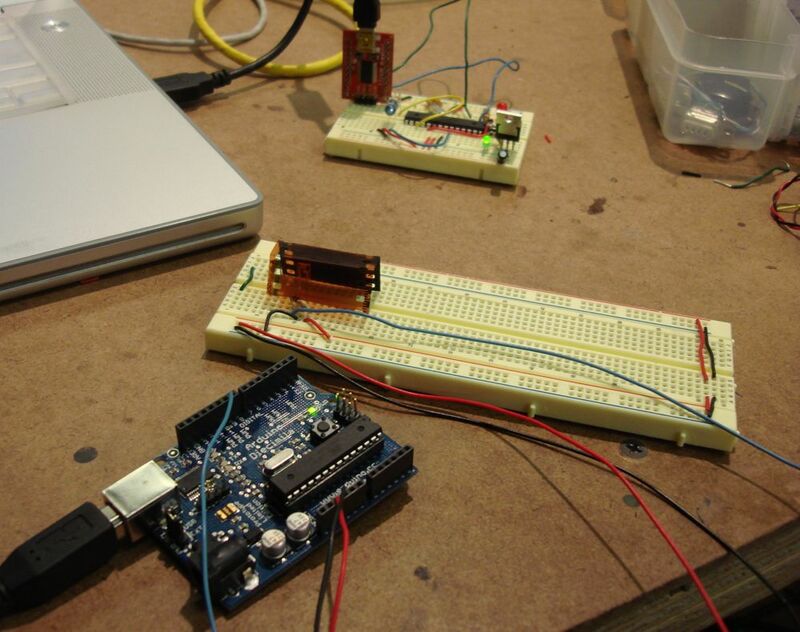 We’re looking to use the ATmega168 chip for the prototypes as they are cheap and we’re comfortable using them – having come from an Arduino background. Of course, with the timing necessary for the IR encoding and decoding, plus the color variations needed for the RGB LED, we’ve had to dive into the C code and use the mega168′s interrupts directly. 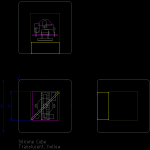 Using these sketches I’ll lay out a circuit that we can prototype on a perf board or even etch some sample boards. We’re still working out the power supply…but I think that getting the user experience right for this first version trumps the practicality goals at this point. 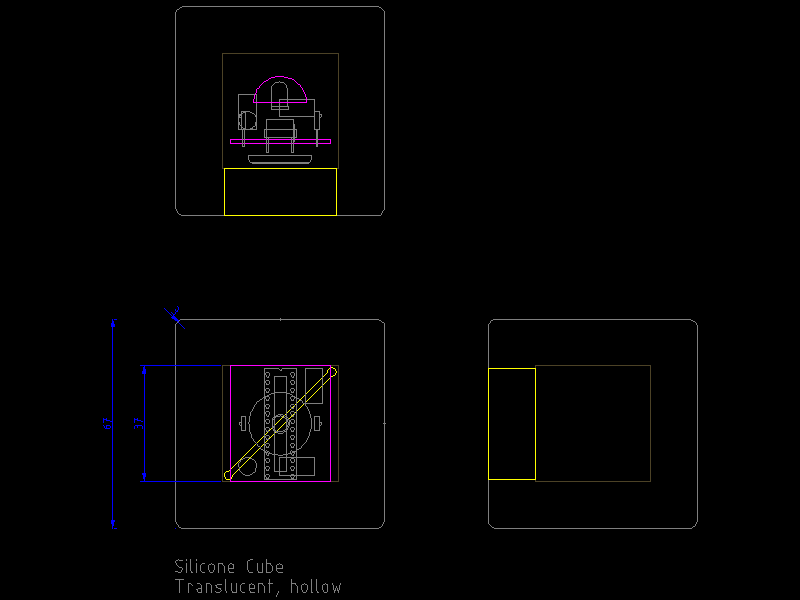 This entry was posted on Tuesday, April 7th, 2009 at 13:29	and is filed under itp, Toy Design. You can follow any responses to this entry through the RSS 2.0 feed. You can leave a response, or trackback from your own site.